Date and place of birth: September 17, 1951, Zavkhan Aimag, Mongolia. In 1975 he graduated from the Irkutsk Institute of National Economy with a specialization in «Finance and credit». From 1975 to 1982 he held a position of economist and then became the senior economist and a Head of the Foreign Exchange Policy Department in the Ministry of Finance of Mongolia. From 1982 to 1984 — Head of the Budgetary Policy Department of the Ministry of Finance of Mongolia. From 1984 to 1990 — Minister of Finance of Mongolia. From 1990 to 1992 — Minister and Head of the Government Office of Mongolia. From 1992 to 1996 he worked as Governor of the Central Bank of Mongolia (Mongolbank). From 1996 to 2016 he was a Member of the Board, Deputy Chairman of the Board at the International Bank for Economic Cooperation. After the collapse of the world socialist system a new history of the Bank's development began. From the Bank came out East Germany, Hungary and Poland, and in place of Czechoslovakia formed the Czech Republic and Slovakia, and they became members of the Bank. Hungary in 2015 returned to the IIB. Thus, today the members of the International Investment Bank are nine countries: Bulgaria, Vietnam, Hungary, Cuba, Mongolia, Russia, Romania, Slovakia and the Czech Republic. Today the bank provides three continents: Europe, Asia and Latin America. Totally, the countries-members of the bank occupy 14.4% of the Earth's territory, and their population is 4.1% of the world's population. Thus, IIB becomes an economic bridge linking countries located on these continents. Russia is the main shareholder of IIB, it owns almost 50 percent of the paid part of the authorized capital of the bank. The mission of the bank is to promote socio-economic development, increase the welfare of the population and economic cooperation of member countries. In accordance with the mission and objectives, the main directions of the transformation and the tasks are defined, the implementation of which will enable IIB to successfully develop and actively support the sustainable development of member countries. Over the past 6 years, the Council and the Bank's Board have been carrying out purposeful work to transform the IIB into a modern financial development institute. An important stage in the Bank's reform was the decision of the 101st meeting of the Bank's Council of May 8, 2014 (Havana, Cuba) on introducing amendments to the Agreement on the formation of the International Investment Bank and its Charter. All member countries approved and signed the Protocol on Amendments to the Agreement on the Formation of the International Investment Bank and in the near future, after receiving the written consent from all member countries regarding the implementation of the internal procedures for ratification of the Protocol, the Bank passes to the application of new statutory documents. The goals and objectives of the bank are defined in a new way. The Bank, being a multilateral development institution, has as its main objective the promotion of economic growth, the enhancement of the competitiveness of national economies, the expansion of trade and economic relations and the possibility of interaction in the investment sphere in the interests of the member countries. Refuses from the principle: one country has one vote. Henceforth, in making decisions in the Board of Governors and in the Board of Directors, each member of the Bank is vested with the number of votes, in proportion to the amount of its share in the paid share capital of the Bank. Increased authorized capital to EUR 2.0 billion and the unpaid portion of the quotas distributed among members of the Bank is capital on demand, which will be used to increase the paid authorized capital of the Bank. Based on the experience of international financial institutions, the bank moves to a three-tier management system. The Bank's management bodies are the Board of Governors, the Board of Directors and the Management Board. The highest collegiate management body of the Bank is the Board of Governors. The Board of Directors is the collegial management body of the Bank, which exercises overall management of the Bank's activities. The IIB member countries are faced with new tasks related to ensuring not only economic growth, but also a qualitative improvement in the life of the population, formation of a favorable environment for the development of man and society, ensuring long-term prospects for socio-economic development, and deepening the development of economic cooperation among member countries of the Bank. These and other time factors are taken into account in the transformation of IIB into a modern multilateral development bank. An important stage in the further development of the Bank, was the successful implementation of the IIB Development Strategy for 2013–2017, approved by the Council of the Bank in June 2012. One of the most important directions for the implementation of the Bank's Strategy is credit and investment activity. 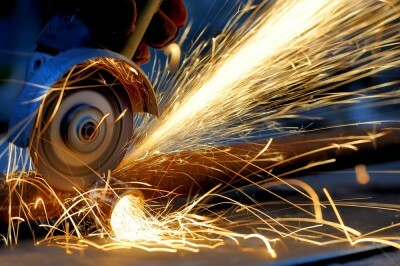 The bank refuses from the old practice of point-to-point lending facilities and gradually shifts to new priorities of credit activity, in particular, to participate in syndicated lending and to provide investment resources to regional and national financial institutions to support small and medium sized entrepreneurs. The spectra of the products and services provided are substantially expanded, first of all, within the credit and investment activities of the Bank. For successful development of lending activities, the Bank pays special attention to the formation of the client base, which involves attracting more reliable borrowers and expanding the geographical diversification of the loan portfolio by strengthening the country approach, which implies greater proportionality between the share of the particular member country in the bank's capital and the amount of credit resources allocated by the bank for borrowers from this country. Within the framework of the Bank's Strategy for 2013-2017, the IIB Board together with its member countries developed and implemented country strategies that take into account the national interests of the member countries, as well as the economic situation in them. In par ticular, in determining the most important prospects for the positioning of IIB in each of the member countries, the level of development of its financial and credit system is taken into account, as well as the need to invest in certain areas of the economy. Thus, the Bank's activities are fully oriented towards the member countries and is guided by the principle of replenishment of national economies of the member countries of the Bank. This made it possible to simplify the procedure for raising funds on the world capital market on acceptable terms, including through the issue and placement of Eurobonds by the Bank. The bank received international investmentgrade credit ratings: The international rating agency Fitch Ratings has assigned IIB a long-term IDR at the level of «BBB» and a short-term IDR of «F2», a «positive» outlook. The Chinese rating agency Dagong assigned IIB a long-term IDR «A», a positive outlook. The international rating agency S&P assigned Longterm IDR at «BBB+» and Short-term IDR «A-2» to IIB a «positive» outlook,The Moody’s «Baa1» a «positive» outlook. 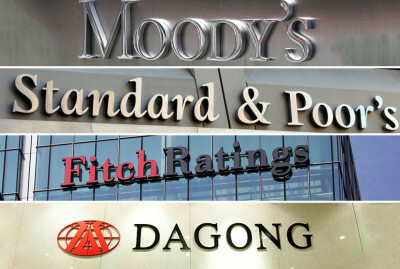 These ratings are currently the highest among all financial institutions based in Russia. Due to the receipt of these high investment ratings, IIB, for the first time in its history, gained access to funding in the stock market, attracting resources, including from the largest international financial structures. In accordance with the implementation of the Bank's Strategy, shareholders take step-by-step measures to increase the Bank's own resource base. For the first time since the bank was founded, it was decided to capitalize on it in the amount of 176 million euros, in particular 76.0 million euros from retained earnings of previous years and 100.0 million euros from additional contributions from member countries of the Bank. Over the past five years, the Bank's own funds, including paid-up share capital, have increased by more than 90 percent. The results of the Bank's activities in 2013 -2017 consolidate its new quality as a modern multilateral institution of development, demonstrate the success of the comprehensive reform and the first results of the implementation of the updated development strategy. The bank carries out with one party, more conservative, but with another relatively balanced credit, investment and deposit policy. In one words, the Bank began to form a balanced strategy in the credit, investment and deposit spheres. As a result of these measures, the financial position of the Bank becomes even more stable compared to 2012 and the balance sheet structure of the bank is improving. Over this period, the loan portfolio has more than doubled. As of December 31, 2015, the Bank's asset is 1.1 billion euros, and thus, compared with the end of 2014, assets increased 2.6 times. The capital adequacy ratio of CAR in accordance with the requirements of the Basel Committee on Banking Supervision (Basel II) was 37.85%, which is a very good indicator characterizing the reliability and sustainable development of the Bank. Successfully implementing the IIB Development Strategy for 2013–2017, from the year 2018, the IIB is gradually moving to a new stage of its development. The Council of the Bank in 2017 approved a new Development Strategy for the Bank for 2018–2022. and thus since this year, the Bank is moving into a new strategic cycle. In order to implement the new IIB Development Strategy for 2018–2022, in March 2018 the Bank's Management Board approved the IIB Business Plan for 2018-2020 as a target and set more ambitious tasks until the end of 2020. For example, by 2020, the Bank's assets will increase by 2.4 times as against 2015 and by 53% compared to 2017. The loan portfolio will increase by 46.8% compared to 2017, and own funds by 10%. In accordance with the decision of the 108th meeting of the Council of December 8, 2017 (Bratislava, Slovakia), the Bank's Management Board, since 2018 launches a new IIB capitalization program, and Mongolia has already increased its share in the authorized capital in the amount of 2.0 million euros since the beginning of this year. Over the past five years, IIB has established business relationships with the main economic institutions of member countries, in particular, chambers of commerce and industry, national development banks, profile ministries and departments, as well as international financial institutions. IIB became a member of the International Development Finance Club (IDFC). IIB closely follows the development of the integration process and the financial sector within the framework of the Euro-Asian Economic Union (EAEU). The situation in the banking sector of the member countries of the EAEU confirms our positive assessment of the prospects for the development of the banking sector in this region. Successfully developing business cooperation with the Eurasian Development Bank (EDB). The International Investment Bank and the Eurasian Development Bank signed on November 21. 2014,Memorandum of Understanding aimed at expanding mutually beneficial cooperation between the two development institutions and working in closer cooperation in financial markets. The limit of credit risk is established for treasury operations on EDB. A striking example of cooperation between our two banks was the loan agreement signed in March 2017 between the IIB, the Eurasian Development Bank (EDB) and the limited liability company Nord Hydro-White Threshold (LLC NGBP) on financing the construction of small hydroelectric power stations Beloporozhskaya GES-1 «and» Beloporozhskaya HPP2 «in the Republic of Karelia at the expense of credit funds from two of our banks. 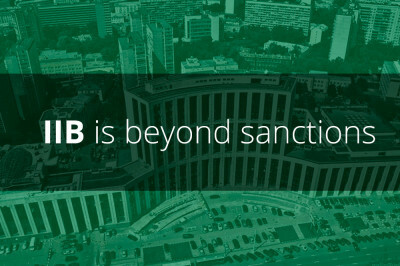 In addition to Russian banks, IIB is expanding cooperation with some banks of member countries of the Eurasian Economic Union, in particular, Armenia, Belarus and Kazakhstan. The Bank established a country limit on Armenia and successfully cooperates with 3 banks — CJSC Armbusinessbank, CJSC Ameriabank, CJSC Ardshinbank on trade finance transactions. The Belarusian direction of the Bank's activity expands every year and IIB invests in the economy of this country through systemically important Belarusian banks. Development Bank of the Republic of Belarus (the DBRB), VTB Bank Belarus, and Belgazprombank of the Republic of Belarus are our main partners. The International Investment Bank is an open organization. Not only countries but also international financial organizations that share the Bank's goals and principles can be admitted to the Bank, as well as willing to assume the obligations arising from the Agreement on the formation of the bank and its charter. Participation in the IIB does not impede the implementation and development of financial and business ties between member countries among themselves, with other countries and international monetary and financial organizations.